Oxycodone is the generic name for the active ingredient in a painkiller; Percocet is a brand name for the combination of oxycodone with acetaminophen. Oxycodone and Percocet are both narcotic analgesics prescribed to relieve moderate to severe pain. Because they're narcotic, both drugs have a high potential for abuse and are classified as Schedule II drugs. Relieves moderate to severe pain Relieves moderate to severe pain as oxycodone is a narcotic pain reliever, reduces fever as acetaminophen is non-narcotic atipyretic. Oxycodone is the generic name for the brands Dazidox, Endocodone, ETH-Oxydose, Oxecta, OxyContin, Oxyfast, OxyIR, Percolone and Roxicodone. 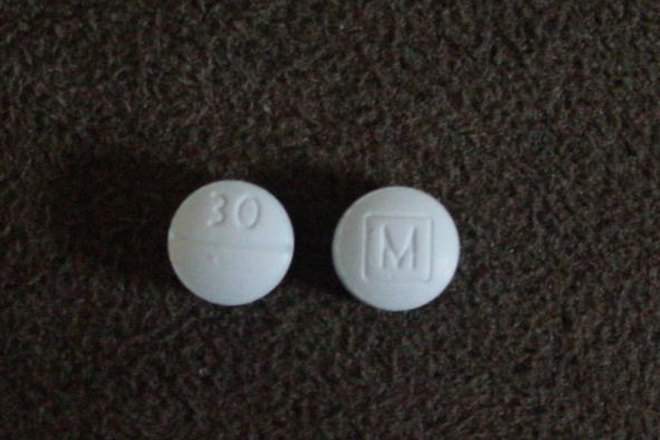 Oxycodone is used to relieve moderate to severe pain. It is a narcotic analgesic, a Schedule II controlled substance. Percocet is the brand name for oxycodone-acetaminophen. Oxycodone, the narcotic pain reliever combined with the non-narcotic fever reducer acetaminophen go to make Percocet a narcotic analgesic and a Schedule II controlled substance used to relieve moderate to severe pain. Both oxycodone and Percocet are taken every four to six hours at the first sign of pain. For the liquid form of both drugs, patients must use the provided medicine dropper to measure the dose. They may mix the liquid with a small amount of juice, water, pudding or applesauce. 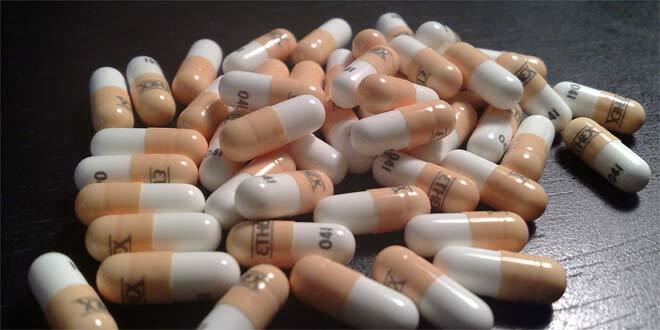 Oxycodone and Percocet tablets or capsules may be taken with or without food. Oxycodone takes 30 to 60 minutes to start working for the instant release formulation; Percocet takes 20 to 30 minutes. Both work for two to four hours. Oxycodone should be stored in a tightly closed container at room temperature away from light and moisture. It has a shelf life of three years. Percocet should be stored at room temperature away from light and moisture. Different formulations of Percocet have different storage needs It has a shelf life of three years. Both oxycodone and Percocet come in liquid, tablet and capsule forms. Oxycodone also comes in both controlled release and instant release tablets. Oxycodone and Percocet mostly work the same way. They both reduce the perception and emotional response to pain. They bind to opioid receptors in the brain and central nervous system. The acetaminophen in Percocet works as a fever reducer by being absorbed into the blood stream by blocking the body's production of prostaglandins, which cause inflammation and fever. Studies show that controlled-release oxycodone given every 12 hours is comparable in efficacy and safety with immediate-release oxycodone given four times daily. Both oxycodone and Percocet decrease in efficacy if used over a long period of time. The usual side effects for both drugs are the same: dizziness, drowsiness, nausea, vomiting, constipation, dry mouth, lightheadedness and mood changes. Both drugs also carry rare but serious side effects: a fast or slow heartbeat, difficulty breathing, slowed breathing, hives, rash, hoarseness, difficulty swallowing and seizures. Other effects may include swelling of the face, throat, tongue, lips, eyes, hands, feet, ankles or lower legs. In addition, Percocet also carries the serious side effect of potential liver failure. There is a strong tendency for overdose with both oxycodone and Percocet. Signs of overdose are difficulty breathing or slowed or stopped breathing, excessive sleepiness, dizziness, fainting, limp or weak muscles, narrowing or widening of the pupil size, cold and clammy skin, slow or stopped heartbeat and loss of consciousness or coma. They can also cause blue color of the skin, fingernails, lips, or area around the mouth. Percocet, because of the acetaminophen, carries the danger of liver failure if there's overdose. Patients need to detail their medical history before taking either oxycodone or Percocet. Doctors need to know about their history of brain disorders (such as head injury, seizures and tumor), breathing problems (such as asthma, sleep apnea and chronic obstructive pulmonary disease-COPD), kidney disease, liver disease, mental disorders (such as confusion and depression), stomach/intestinal problems and difficulty urinating (due to an enlarged prostate). They should also tell their doctors about any personal or family history of regular use/abuse of drugs and/or alcohol. Oxycodone and Percocet interact with certain drugs. They interact with mixed narcotic agonists/antagonists such as pentazocine, nalbuphine and butorphanol; narcotic antagonists such as naltrexone; allergy, cough and cold products; anti seizure drugs such as phenobarbital; sleep or anxiety medications such as alprazolam, diazepam and zolpidem; muscle relaxants; narcotic pain relievers such as codeine; psychiatric medications such as risperidone, amitriptyline and trazodone, azole antifungals such as ketoconazole; macrolide antiobiotics such as erthromycin; and HIV medications such as ritonavir. Oxcodone was first developed in Europe in 1916. Its clinical use began in 1917. It was introduced to the U.S. market in 1917. The FDA approved the brand Oxycontin in 1995. Percocet was approved by the FDA in 1976. Hello, i think that i saw you visited my weblog so i came to “return the favor”.I'm trying to find things to improve my website!I suppose its ok to use a few of your ideas!! i actually find oxycontin is a stimulant; not a depressant. use it medically (pain relief), but it causes me heart rate to jump (mentioned here) which wakes me up & gives energy (so to speak; part of effect is likely to be reduce in felt pain).